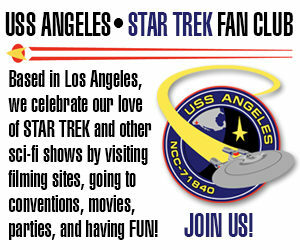 TOM HANKS watches STAR TREK FAN FILMS! Sometimes people ask me why I spend so much time writing about and obsessing on Star Trek fan films. After all, few people even know about them, and on a good day, I only get about 1,000 visits to this blog (on a bad day, it’s about 500…and on an Axanar day, it’s about 3,000!). Some comments have even said that fan films are just wasted time with Trekkies playing “dress up,” and most fan films aren’t even watchable. So why do I write this blog? Well, first of all, someone’s gotta do it, right? I mean, whether or not a fan film is good or bad (and remember my Prime Directive of Fan Film Factor), a great deal of work and dedication goes into each one. Sometimes it might not look that way, but trust me, I’ve worked on enough of them and spoken to enough creators to know how much blood, sweat, and tears go into even the most humble, low-budget fan film. And frankly, someone out there should be covering it all and giving them some credit. Why not me? Second, I find it really interesting to watch this medium developing and evolving. And this blog is an archive, of sorts, of that evolution. Granted, things were much more ambitious before the guidelines, but it’s still exciting—at least to me—to see what fans can come up with: the stories, characters, sets, props, costumes, VFX, sound and film editing, music, etc. And third, it’s not as small a world of viewership as you might think! Sure, I only get about 45K-50K visits a month, but fan films like Horizon, Renegades, and Prelude have gotten MILLIONS of views on YouTube! People out there are taking notice of fan films…usually in a good way. And one of the people who took notice was none other than Academy Award-winning actor TOM HANKS! 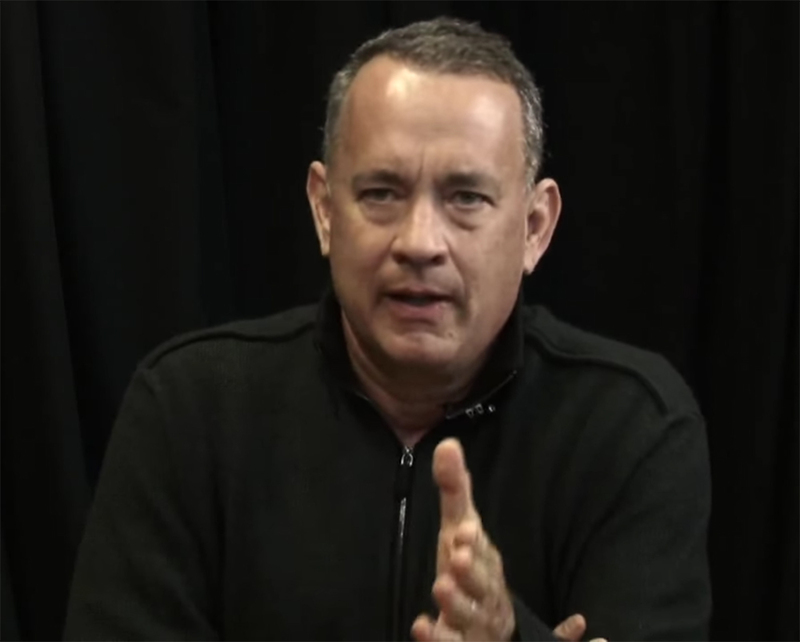 I’d forgotten about the 2013 interview with Tom Hanks that took place on actor/comedian Kevin Pollak’s online chat show. In it, he briefly discussed Star Trek fan films and STAR TREK CONTINUES in particular. Although he mistakenly said they were based in South Carolina (it was actually southern Georgia), it was clear that he was talking about STC. I bet that he’d be thrilled to be a part of one…. If Axanar were to get him to play ‘Capt. Robert April’, I imagine that the money might be more forthcoming. Can’t pay actors anymore in fan films. But man, Hanks would make an amazing starship captain, wouldn’t he! I could just see him separating the saucer section after a torpedo strike and taking it down to a planet for a gentle soft-water landing in a river between two big cities. Think that idea would ever fly… er, land?